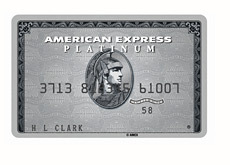 The American Express Platinum card is, without a doubt, one of the most prestigious credit cards in the world. American Express does a great job in providing their cardholders with a multitude of different value-added offerings and perks. 1. No Pre-set Spending Limit. There is no pre-set spending limit with an Amex Platinum charge card - rather, the company determines your limit based on your repayment history, financial resources and other determining factors. 2. The International Airlines Program. Traveling overseas? American Express will automatically furnish you with a complimentary companion ticket if you are flying with one of 17 participating airlines. 3. The Platinum Card 24-Hour Concierge. Need help booking a reservation at a popular restaurant? Need to send some flowers to your spouse? Need tickets to an upcoming sporting event? The American Express 24 hour Platinum Card concierge can assist you with all of these tasks. 4. 25,000 Membership Rewards Bonus Points Promotion. Spend $1,000 within your first three months of receiving your card and you will receive 25,000 Membership Rewards Points as a perk of applying for your card. 5. Access to Invitation only events. American Express will feature a number of invitation-only events every year that are only open to certain cardholders. This can include sporting events, fashion shows and performing arts events. 6. Access to prestigious airport clubs. Do you travel frequently? If so, you may be interested to know that by holding a platinum American Express card, you are granted access to a number of airport clubs across the globe. These clubs can make your travels much more comfortable, and are just another perk of holding the Platinum card from American Express. 7. Assorted other perks. Access to premium travel insurance and buyer protection services are also included with the card. American Express also has an emergency card replacement service that can replace your lost or stolen card within 24 hours. American Express is a well-run company that separates itself from its competition by providing their customers with a tremendous amount of value and personal service. Customers who deal with American Express are, by and large, very happy with the company, and American Express enjoys very high customer retention rates compared to their competitors. 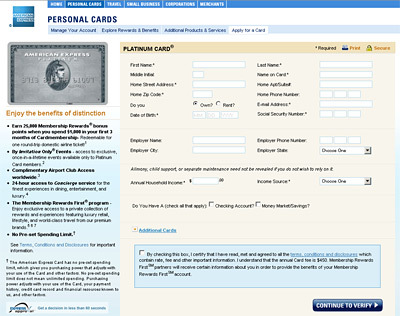 There is a reason why many people choose the American Express Platinum charge card as their card of choice.